Zizzi has launched the UK’s first ‘Instabition’. The setup is based on a gallery of Instagram artwork inspired by dishes from the new menu. It follows research that Brits spend 74 minutes per week staring at food images on Instagram with 18-35 year olds spending a staggering two hours a week (138 minutes) delighting at tasty food images on the social network. The survey also found that a quarter of Brits consider food to be art, with over 60 per cent commenting that food actually taste better if it looks good. The exhibition champions this delectable relationship bringing together up-and-coming Instagram food artists with inspiring Zizzi dishes. With an artistic twist, each piece celebrates the ingredients and techniques that Zizzi chefs serve up and down the country. They include ‘The First Heat of Spring’ inspired by the Rustica Piccante Pizza and the ‘Summer Palette’ celebrating the new Summer Berry Sundae. 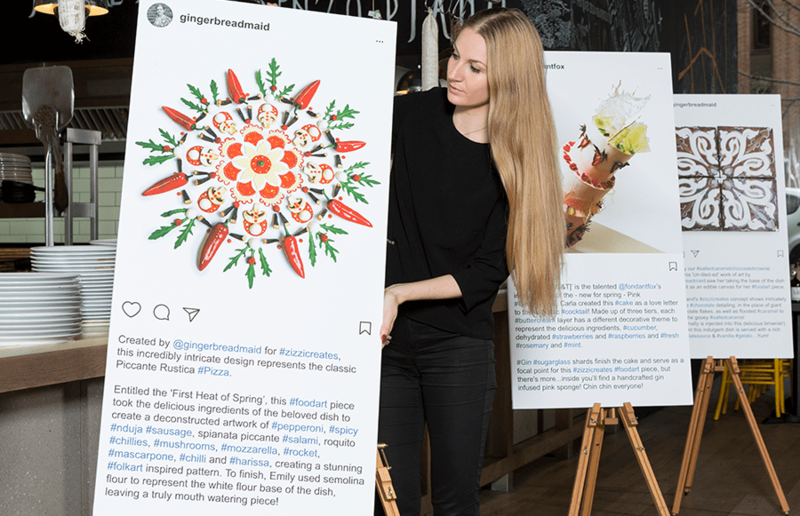 The Instagram art is available to view in person at Zizzi’s St Giles Restaurant in London for one month from April 6th with plans to tour the country. 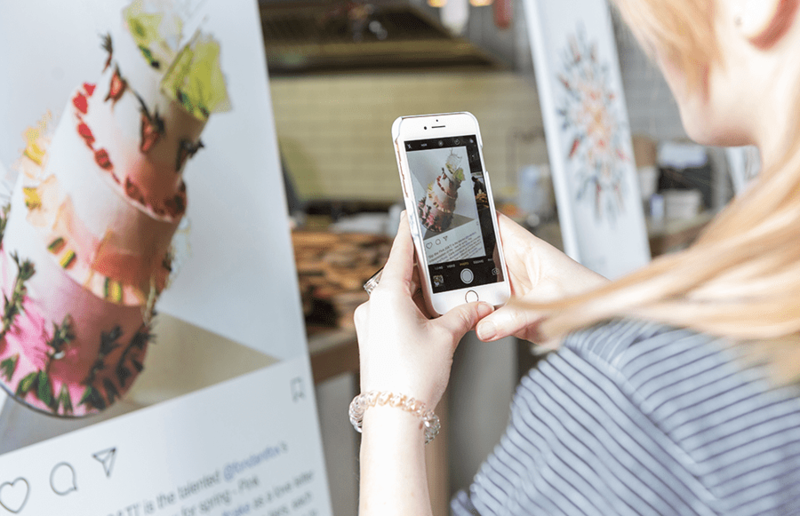 They will also be showcased on Instagram @wearezizzi, which, along with the images, shows how they were created and the stories behind them. Customers are invited to get creative and share their perfect Zizzi foodie photo by posting on Instagram with @wearezizzi #zizzicreates for their chance to win a free meal for 4.